In a last-ditch attempt to save itself, the Kochi franchise has reportedly asked the BCCI for a ten-day extension to resolve the dispute over its ownership pattern. The request was filed by two sets of solicitors representing the rival factions of the Kochi franchise a few hours before the BCCI deadline, within which time the owners were expected to form a joint venture company, lapsed. The members of the Kochi franchise were issued a show cause notice by the BCCI on October 12 ordered them to form a joint venture company to settle their internal ownership differences. The two factions, one headed by the promoters of the franchise Rendezvous Sports and the other by Mehul Shah of Anchor Group, had responded to this notice by sending identical requests this evening. "We have requested a ten-day extension because we are at an advanced stage of resolving the issue," a Kochi franchise official told ESPNcricinfo. The groups within the five-partner consortium had failed to come to an agreement after a series of meetings held late on Tuesday night, but after talking to their solicitors decided to ask for more time rather than walk away from the discussions. The official explained that the groups would require more time, "to resolve all pending disputes in order to tie up amicably to form a fruitful joint venture into a regular company". Ratnakar Shetty, the BCCI's chief administrative officer, said the Kochi franchise had, "held a few meetings in the last two or three days and submitted a letter, which has been sent to the president." The BCCI's legal team was looking into the letter, Shetty said, but added that no meeting of the IPL's governing council had yet been scheduled. "The president will study it, our legal team will study it before taking a decision." By asking for more time, Kochi have prevented the rest of the IPL franchises from getting any clarity on all the major issues around the fourth IPL season, which until now has been dogged by drama and controversy. At the moment, it is not yet known how many teams will be involved, what format it would follow or how many matches would be played. 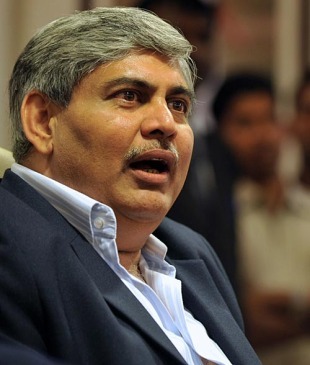 In responding to the query about the doubts around IPL four, a BCCI official told ESPNcricinfo that despite all the uncertainty, the number of teams in IPL 4 was not in doubt. "All our contracts around the IPL tell us that the minimum teams will be eight, so I don't think that's a problem, we just have to get this sorted out and see what happens when the president responds to the letter from Kochi." An IPL franchise official said that it was unlikely that the BCCI would field fewer teams in IPL4 than in its first three seasons, "Look at the Board's attitude to Lalit Modi, there is no way they want the first IPL without Modi's involvement to be smaller than the old IPL which Lalit controlled." The Kochi franchise has been controversial from its very inception in March. Rendezvous Sports World, a consortium of five companies, became the tenth IPL franchise after a successful bid of US$333.33m, but almost immediately ran into trouble over the composition of its ownership, after the discovery of a few "secret partners" in the consortium. A new agreement was then signed by both the parties but fresh controversy broke when Lalit Modi, the then IPL chairman, made the ownership details public on his Twitter feed. Six months after the auction Kochi has still failed to resolve its various internal disputes, which revolve around the distribution of shares in the consortium. The investors are unhappy with the promoters, who do not want to give up the rights to lead the franchise. Despite several lengthy meetings over the past few days, the two factions remain at loggerheads.